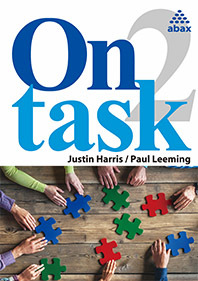 On Task Book 2 is the second book in a three level series that takes a task-based approach to language learning. Covering the four skills of listening, speaking, reading, and writing, tasks are the central focus of the book. Each unit features an input task and an output task, both of which follow a well-known task cycle. Pre-tasks serve to prepare students for main tasks, which focus on meaningful communication, and have a non-linguistic outcome. Post-tasks then allow students to review and consolidate the language that they have used in the tasks.